Throughout your life, your skin faces an awful lot: the sun’s UV rays, dryness, gravity, and so much more. And as you grow older, your skin starts to show its age and its damage. If your skin is showing signs of aging, you just need the right product: a lotion that can cater to and repair the damage that’s happened over time. 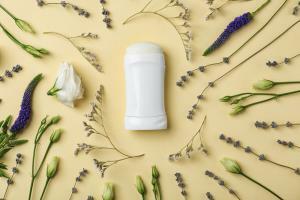 Check out these top lotions for seniors’ skin that can work to reverse the effects of aging. Best For: Anti-aging protection at an affordable price. Top Ingredients: Dimethicone, which protects the skin from losing moisture, and Colloidal Oatmeal, which prevents dry skin. When skin becomes dry, the signs of aging can become increasingly obvious. Dry skin looks dull, can crack or make fine lines and wrinkles appear deeper, and can be all around uncomfortable. If your skin needs hydration, you need to try Aveeno Daily Moisturizing Body Lotion. This lotion, which is formulated for everyday use, can improve your skin’s health in just one day². Nourishing and moisturizing, Aveeno’s body lotion can reduce and improve dry skin and keep moisture locked in for a full 24 hours. Despite how moisturizing this lotion is, it won’t feel heavy or greasy when applied, and there’s no strong fragrance that could be problematic for seniors. Best For: Effective anti-aging ingredients with an organic formula. Top Ingredients: Vitamin C boosts collagen production and reinvigorates skin. Vitamin C is an important part of anyone’s diet, but did you know it’s also a potent anti-aging ingredient for your skin? Nurture My Body’s Vita C Cream is a lotion that’s specially formulated to include Vitamin C and provide all of the benefits of this powerhouse vitamin. Vita C Cream is an organic lotion that’s infused with Vitamin C to increase collagen production – which slows during the aging process – and reduce any wrinkles or fine lines⁴. A reparative cream, this lotion works to fight the effects and visible signs of aging with every wear. And this Nurture My Body lotion will also protect your skin, keeping it safe from free radicals and hydrating by locking in moisture. Best For: Advanced anti-aging power backed by proven results. Top Ingredients: Silicone, which smooths and softens skin, and Amino-Peptide Complex II, which delivers deep moisturizing. If you’re looking for a product that packs a huge punch when it comes to aging, you need to try Olay Regenerist Regenerating Serum. This affordably priced facial lotion is highly rated and loved by users everywhere, and it offers a formula that’s proven to reduce fine lines and wrinkles while improving your skin in many ways. One quality users love about Olay Regenerist Regenerating Serum is that it’s easy to watch this product improve your skin – in just 4 weeks, you’ll see firmer skin and an improvement in any fine lines and wrinkles⁶. Deeply moisturizing without being greasy and fast-absorbing, this is one lotion that hydrates effortlessly. And you’ll love the way this serum regenerates your skin’s outermost cells, restore elasticity, and plumps up your skin, reversing as many aging signs as possible. Best For: Moisturizing and firming skin while reducing the appearance of wrinkles. Top Ingredients: Retinol (Vitamin A) and Vitamin C slow down the skin’s aging process. 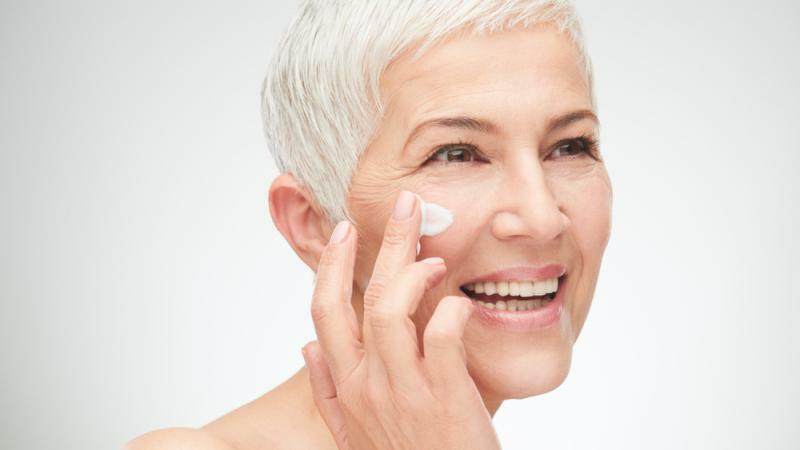 The best possible combination for seniors looking for a lotion is anti-aging and wholly hydrating – and that’s exactly what you’ll find when you apply LilyAna Naturals Retinol Moisturizing Anti-Aging Cream. This specially formulated product contains a few powerhouse ingredients known to slow the skin’s aging process, smooth skin, and soften skin: Vitamin A, Vitamin C, and green tea. And in addition to these ingredients, LilyAna Naturals contains highly moisturizing ingredients like safflower oil, hyaluronic acid, and shea butter to ensure dry skin isn’t a problem. With regular use, this lotion will refresh your skin, protect it from further aging or damage, and make you look your very best. As you age, your skin’s needs change. And that means you have to stay on top of your skincare routine in order to make sure your lotion is hydrating while also keeping your skin protected. Whether you’re looking to reduce the signs of aging and achieve younger-looking skin or you simply need a hydrating moisturizer, these lotions are the best of the bunch. Of course, all seniors have different skin types. If you’re looking for a lotion that suits your skin in particular, there’s only one thing you need to do to find plenty of options: search online. 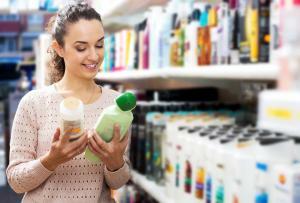 You can find a wide variety of lotions, and you can compare their ingredients, their prices, and their effectiveness before buying online.